A little over 100 years ago, Congress enacted the first U.S. pesticide law. The Insecticide Act of 1910 put labeling guidelines in place to protect farmers from unscrupulous vendors attempting to sell pesticide products that didn’t perform as advertised. To this day, we control pesticides through a system of registration and labeling, with a primary goal of getting products to market. The result? 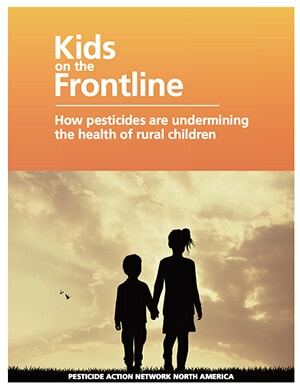 Each year, more than 680 million pounds of pesticides are applied to agricultural fields across the country. This 2007 figure—the most recent government estimates available—climbs to more than a billion when common non-agricultural pesticide uses are included. We believe this is too much. Ever-stronger science shows that even at low levels of exposure, many of these chemicals are harmful to human health—and children’s developing minds and bodies are particularly vulnerable. It is also increasingly clear that alternative, less chemical-intensive approaches to farming are not only viable, but would strengthen the resilience of agricultural production.